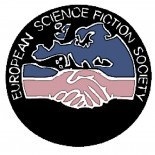 Promoting Science Fiction in Europe and European Science Fiction worldwide. This is the first announcement of details of the ESFS General Meeting for 2015 It will take place at the St. Petersburg Eurocon, http://eurocon2015.org/ (en ru), on the 23rd to the 26th of April 2015.
nominations for the ESFS Awards are now open. Closing date for submissions is the 23rd of March 2015. N.B. Awards before 1990 are not Hall of Fame awards, and are not covered by the ‘once only’ rule. Minutes for the 2014 Meeting are available here. Please take the time to review. Below is the Draft agenda for the business meeting. The items in this list may occur in any order, and the final agenda will not be released until closer to the time. 13.Announcement of Site Selection Results. There is a discussion group focused on changes to the Spirit of Dedication and the ESFS Awards. If you are interested the group is here. If you wish to raise any business at the meeting please submit such requests in advance. No motions will be accepted from the floor of the meeting. We currently have two items of business carried over from 2014, we are also expecting a major discussion on the spirit of dedication awards. In order to help us plan the timing of the meeting, we would like if anyone who wishes to bid for a Eurocon, especially the 2017 Eurocon, please do get in touch. This entry was posted on 06/01/2015 by omegar in Announcement.